It is with much sadness that the former First Dog, Barney Bush has died. Because of my love of Scotties, the Bush’s loss is heartfelt; because of my own Mackie’s death 5 months ago, I know the memories will soon overtake the sadness. RIP Barney knowing you had one heck of a dog run for eight years. 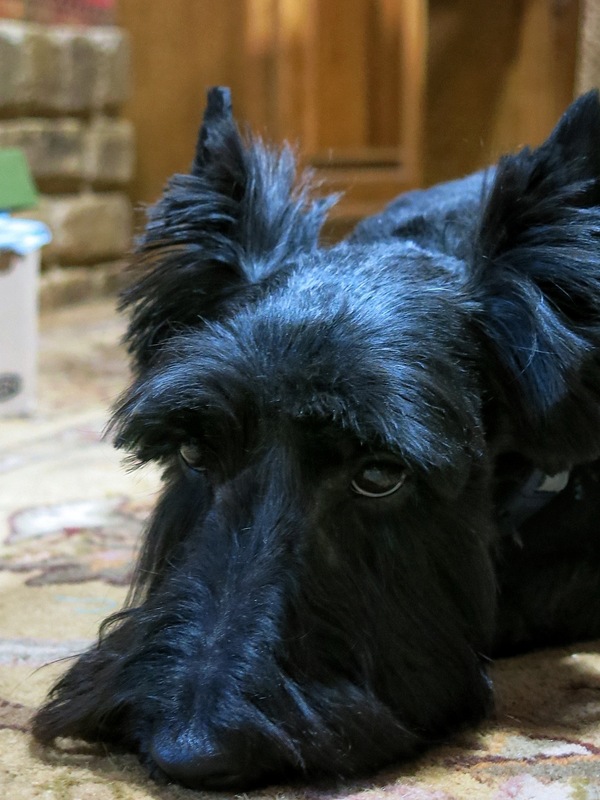 Losing a beloved pet is always difficult; losing a Scottie dog gives reason for all Scotties to aroooo in mournful harmony. The Princess Zoey, with her winter coat still on….notice the tinge of redheadedness most noticeable on her chest and legs? The Princess always is relaxed (or is it stress exhaustion?) after a spa day, and always a bit shy (embarrassed?) with her buzz-cut “nakedness”…but all is better (forgotten) after a short nap. …will soon be joined by a Prince, a handsome fellow (I assume) whose name has yet to be decided. YES, we get a new Scottie pup in one month! Pictures will follow soon. If I ever lose Pepper, thankfully she’s now only 13 months old, another Scottie will be what I’m looking for. While I’ve loved every dog I’ve ever had, she’s pure joy for me. Couldn’t agree more with you Pat. 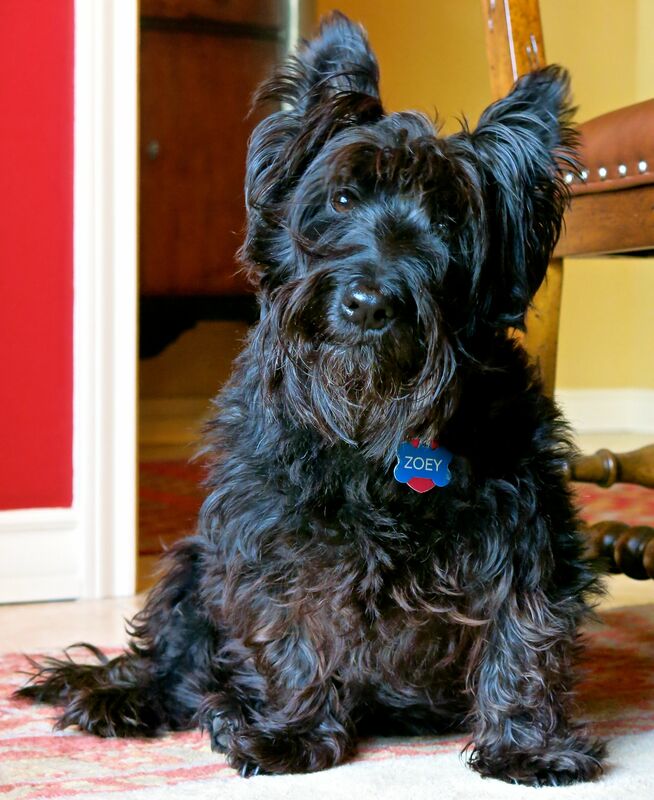 I had a Scottie-mix growing up – “Cricket” was a great dog. Then after several years and 3 other dogs, we got our Mackie (Queen of Scots) – an absolute best pet. We then adopted our adorable Zoey from Leah as she was leaving the country to finish school (hey Leah, if you still read this blog, thanks! ), and now we get another Scottie come March 1st. Enjoy your every minute with Pepper! 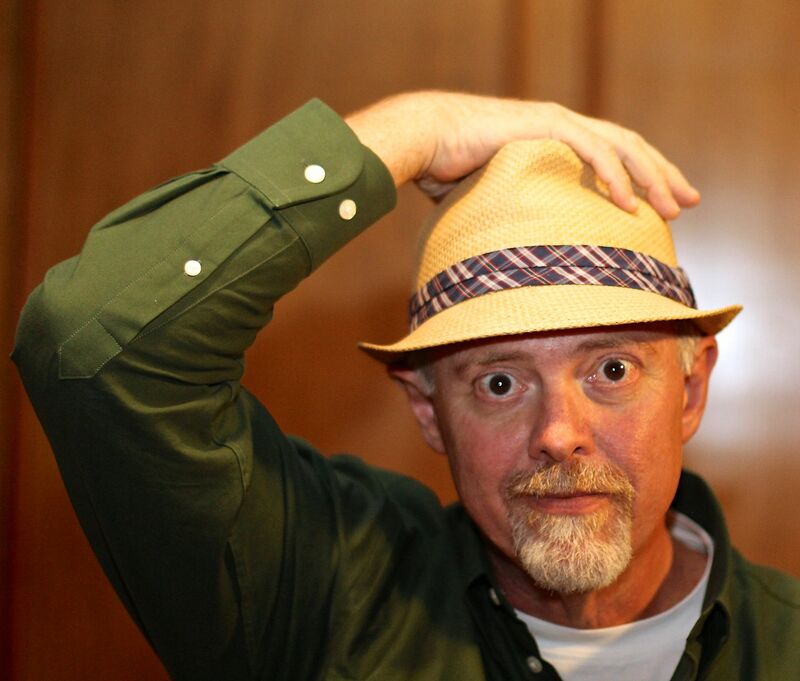 Don’t you know I will Bec…probably to the point all y’all will be saying “another picture…geez…and arrrggghhh!”. Sooooooo excited to get him in 27 days, 9 hours, and 2 minutes…..
Great news. I suspected the worst with only the first few words of your post showing in my inbox, so this is 100% better. Whew! thanks Sid – certainly did not intend to startle with my choice of words.